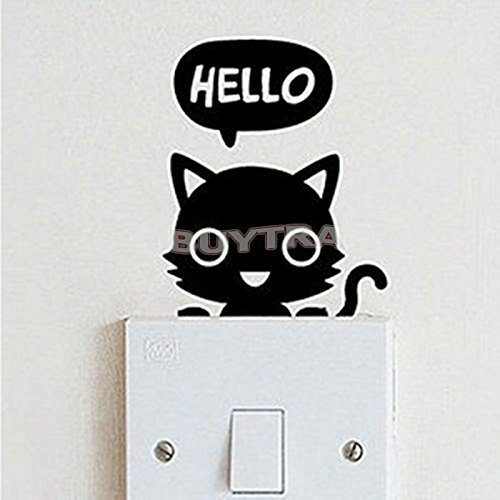 Cute Cat Wall Switch Sticker Only $0.99 + FREE Shipping! You are here: Home / Great Deals / Amazon Deals / Cute Cat Wall Switch Sticker Only $0.99 + FREE Shipping! Oh my goodness – how cute is this wall sticker?! Right now, you can get this Cute Cat Wall Switch Sticker for just $0.99 with FREE shipping! This would be perfect for your child’s room! My kiddo would LOVE it!